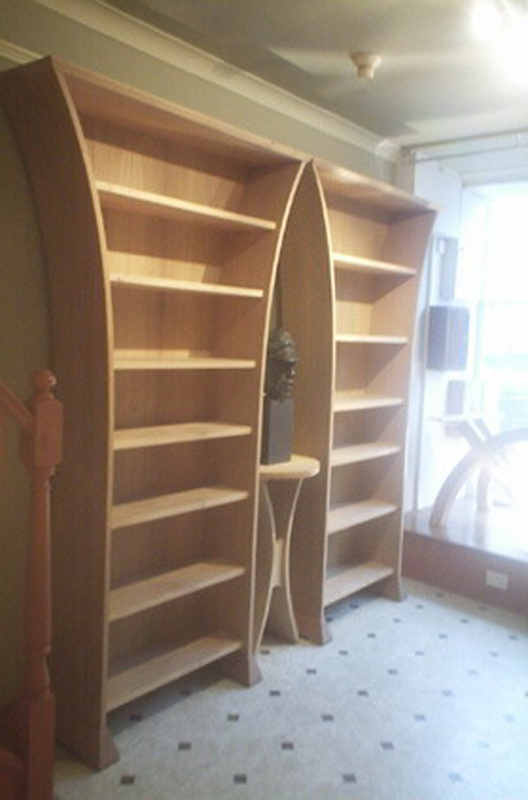 Very fine bookshelves with steam bent sides and flared feet. The outside has a tactile texture, the inside is smooth. Together the shelves make a boat shape which is filled here with an Hourglass Side Table and a sculpture by Vegard Hanve. This photograph was taken in the i tre gallery, 59 Pimlico Road, London SW1 which was Petter’s showroom before Sladers Yard.